Exxon and Chevron have similar long-term problems with few solutions. A short to intermediate term rally during the "last great secular oil bull market" is the perfect time to sell. There is better upside and similar dividends in other oil stocks that carry lower risk. If you insist on calling Exxon and Chevron "forever" stocks and following that thesis as an investor, you will eventually lose a lot of money. I first warned about Exxon and Chevron being market laggards on December 29th, 2016 in an article titled "Oil Majors Not The Place For Rising Oil." In that article I pointed out that Exxon (XOM) and Chevron (CVX) would trail most U.S. E&Ps focused on shale. While Chevron has held-up fairly well, Exxon has been a terrible laggard. I believe Chevron will follow Exxon soon. For investors concerned with total return during what is likely the last great secular oil bull market, I strongly recommend swapping Exxon and Chevron shares for more focused competitors with fewer financial, operational and legal hurdles. Here are just a few of the hurdles facing these majors. For companies like Exxon and Chevron, a dramatic reduction in oil demand would obviously be detrimental. It is even more complex than that as the companies try to transition to what comes next while maximizing returns now. The end of the oil age is a simple concept whereby gasoline and diesel powered vehicles, which account for about 70% of oil demand, give way to electric vehicles. The uncertainty to this scenario is time frame. Estimates for peak oil demand range from Tony Seba's aggressive paradigm shifting EV adoption rates reducing oil demand by the early 2020s, to various oil producers suggesting peak oil demand will happen in about ten years, as the Royal Dutch Shell (RDS.A) CEO said, to BP (BP) suggesting peak oil demand in the middle to late 2030s which is inline with Wood Mackenzie, to OPEC, Exxon and Chevron projecting peak oil demand in the 2040s. I have built out a projection on Seeking Alpha before which pegs 2030 as peak oil demand, but I give the range as five years to either side. 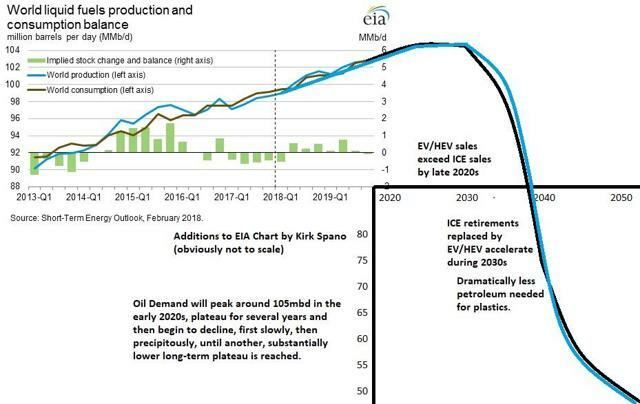 Regardless, once peak oil demand is reached, oil demand will reduce about 5-8% per year for an extended period as gasoline powered vehicles are retired and replaced. It is important for investors to not "take sides" in the EV and peak oil demand debate. What is important to realize is that the dilemma poses a significant set of problems for the oil majors whose scale can actually work against them now. For companies like Exxon and Chevron which have massive inventories of expensive to develop long cycle assets, the impending end of the oil age presents challenges that focused E&Ps do not face. For these majors, it is likely they have billions of dollars worth of stranded assets yet to write down. The problems they face are that deepwater and heavy oil assets, which account for a significant portion of both companies unproven, proven (at the moment) and probable reserves, take years to develop and payback the initial investment. So, regardless of whether long-term breakeven can be $40 or $50 per barrel - which is only in the best plays - these companies have to justify the development expense today, realizing that oil demand might start to fall off a cliff in as soon as ten years. 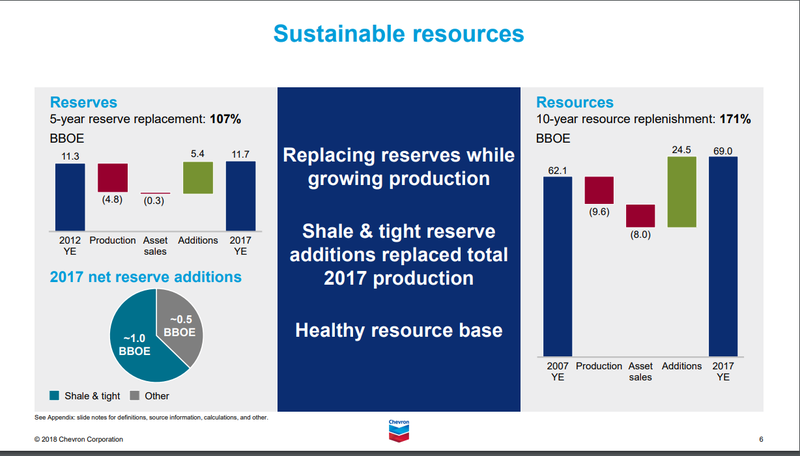 In Chevron's case, while they are ramping up shale production, their shale has no chance to replace declines in conventional, deepwater and heavy oil in the long run, as they suggest is the case in their most recent report. Ask the EIA, which estimates that shale oil production will peak sometime in the 2020s. The reality is that Chevron's (and Exxon's) decline rates are gliding upward into the high single digit percentages per year. Importantly, there is little conventional, deepwater or heavy oil that can be economically developed. That puts the entire burden on shale, which again, as the EIA points out in their outlooks, likely isn't viable long-term without much higher prices. For the next five to ten years, Chevron might, emphasis on might, be able to maintain their production and finesse the idea that they are growing reserves. They are putting most of their eggs in the Permian basket to replace declines and depletions elsewhere. Per a recent update, Chevron has 19 rigs running in the Permian as of July 27th, 2018. It's plan is to ramp up production in order to export more oil. According to James Johnson (via Natural Gas Intelligence), EVP of Upstream operations, Chevron is not exposed to Midland to WTI differentials: "Chevron has secured firm transport capacity at competitive rates to move the equivalent of nearly all of our forecasted 2018 and 2019 operated and JV take-in-kind-oil production to multiple markets, including the U.S. Gulf Coast... We are moving forward with our development plans in the Permian, and we do not intend to slow down activity or divert capital." So there. But let me ask, why so much emphasis on the Permian? There's two answers. The first is that it's cheaper than a lot of their other oil. That makes sense. The second is that it is cheaper than a lot of their other oil. Get it? Essentially, Chevron is focusing on the Permian because it is its best chance to support production short-term. What happens sometime in the 2020s when they are no longer picking cherries? Remember, their reserve replacement is based upon the fact that oil prices have risen again. What happens when demand falls? The same thing that happened when Saudi supply surged. It's still a supply and demand curve. Reserves will get written down again. That will make their reserve replacement numbers not look so good at some point. Exxon, of course, is in a similar boat. And, their oil and gas production fell 7% year over year as just reported. You'll see why in the next section. The scenario of oil demand falling at the short-end of the time frames identified above exacerbate two problems. The first is the obvious "to develop" or "not to develop" question. The second is that very few of the assets held by Chevron and Exxon that they do not develop themselves are going to ever draw any bids to be bought. That is, they have no ready buyers of their more expensive to develop assets. We have seen many assets already written down. With oil prices firming, we are not likely to see further write downs in the short-term, but, we are not going to see those assets developed either. At some point, whether a decade or two decades from now, or possibly even three (though I doubt it), Exxon and Chevron will have to write down billions more in assets. Their only hope, one that I think is unlikely, is that oil prices get to and hold over $80 per barrel for decades, and that the oil age lasts longer than expected, in addition, they have to know those conditions will exist ahead of time. In that scenario, and that scenario only, Exxon and Chevron can escape an eventual collapse. 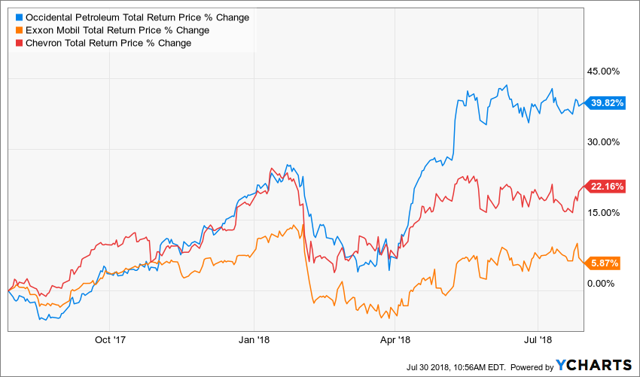 In the short run, with oil prices around the Goldilocks price range I have identified, Exxon and Chevron will chug along, albeit at lower returns than their more nimble competitors. Many investors will be blinded by what they consider slow steady growth at the companies. 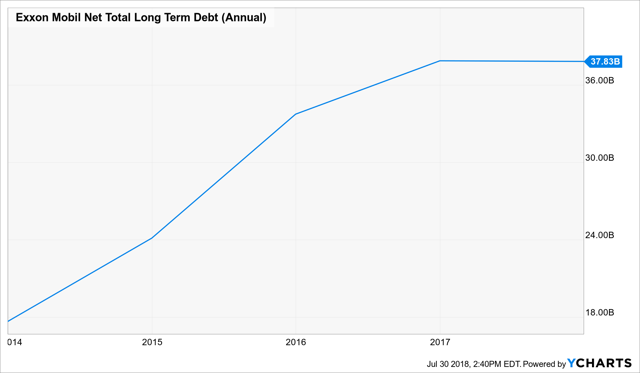 What they are really witnessing is the slow deterioration of the balance sheets that will be followed by a sudden and massive destruction at some point in the future. In my webinar last Friday, after spending 20 minutes on Tesla (TSLA) [and ridiculing Elon Musk for acting like a jerk], I made a bold prediction that I stand by: sometime in the next decade or so, the stock prices of both Exxon and Chevron could see single digits. Here's the key financial problem both companies have. Their future cash flows will not be enough to pay down their debts before the oil age is over and still pay dividends along the way. They will need those dividends to transform their businesses, if they decide to transform, instead of clinging to the idea that fossil fuels are forever. 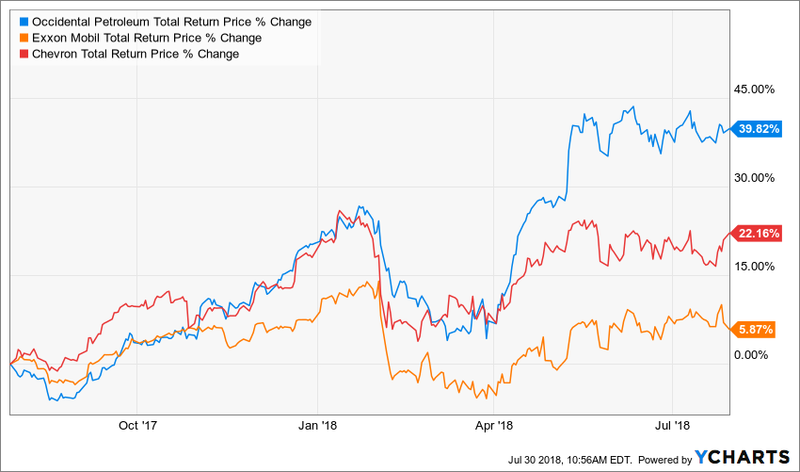 If either company resorts to cutting their dividend, which I see as inevitable, they will lose shareholders the way that General Electric (GE) has. GE incidentally suffered a long slow deterioration before collapsing in the past year. Will companies like GE, Exxon and Chevron be able to go through massive transitions and come out of it prepared for the long-term? I don't know. Maybe. In Exxon's case, given their recent Energy & Carbon Summary, I think they might bury themselves so deep they could stumble into bankruptcy someday. We'll see. Regardless, that doesn't sound like a good risk to return to me. Exxon has 4.234 billion shares outstanding and pays $3.88/year dividend right now. That's $13.88752b in dividend payments this coming year. Their EPS estimates for the year are $4.72 per share. That is a forward looking payout ratio of 82%. And, they've missed three quarters in a row now. This is not only why investment in new production has lagged, but the stock has too. So, let me ask, with that payout ratio, needing more revenue now and needing to transition the company from oil to gas to something else someday, how does Exxon pay down its $38 billion in debt? Here's a monkey wrench. Exxon took on most of its debt short-term during the oil crash to keep interest expenses low. Their debt will have to refinanced soon. Doesn't anybody care that the interest rates will be higher. They already pay over $200,000,000 per quarter in interest expense. There's more. What if their Guyana investment doesn't pay off as expected? It won't be until at least 2022 for the first wells to be producing. What if EVs have a technology moment and become a lot more affordable by then? I am not so sure all three legs of that stool are sound. If you are invested in Chevron a similar exercise can be done with it. Their finances are slightly better, as are their assets in my opinion, but it's a small degree of separation as far as I can tell. If Exxon cuts their dividend, the stock is going to fall. If Exxon doesn't cut their dividend, the stock is going to fall. I believe the same can be said for Chevron. I am not going to put much time into the climate change lawsuit issue because so much is unknown. What we do know is that members of the Rockefeller family themselves believe Exxon, and likely Chevron, are guilty of covering up climate change evidence. We also know that there are already investigations and lawsuits into the companies. How far do those go? Nobody knows, but it is a risk that is significant enough not to be dismissed out of hand. If these lawsuits run similar to the cigarette lawsuits, it should be easy to see how damaging that would be to both company's finances. Billions in damages from companies with current ratios of 1.04 in the case of Chevron and .81 in the case of Exxon would necessitate dividend cuts at least. With Exxon and Chevron both facing multiple long-term hurdles, developing a sell strategy is important for investors. Your personal circumstances will dictate your approach. For those who are well into retirement and have significant long-term gains, potentially waiting for your "step-up in basis" for heirs could make sense. In these cases, I suggest talking to heirs about these shares and tell them to sell shortly after your passing to the big stock market in the sky. An investor such as BuyandHold2012 will ultimately dispute ever selling, however, at only a spry 60-something years-old, hopefully I've changed his mind. Such a young man ought not wait for a step-up in basis to sell. For those early in retirement or the second half of a work career, I suggest swapping your Exxon and Chevron shares for better dividend growth stocks with lower risks. 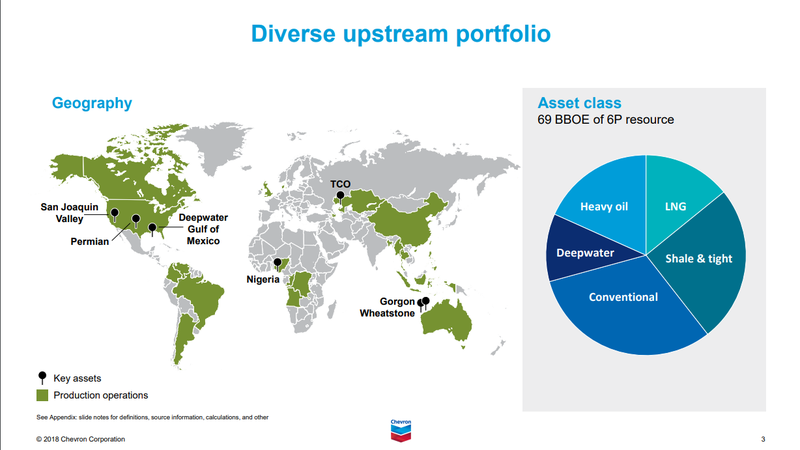 Occidental's ultimate advantages are that it has a better relative balance sheet than either Exxon or Chevron and a more focused business model. These are due to a more focused business model that includes significant Permian operations as a percentage of production and a major export terminal that will accomodate VLCC oil tankers soon. The company recently sold off a massive chunk of midstream assets to further improve its financial position and flexibility. For younger investors, Millennials in particular, if you own Exxon and/or Chevron, chalk it up to youthful inexperience. In general, you should be investing in higher growth companies, not stodgy businesses that used to make grandpa real money. A company in the energy space for you to swap into is Encana (ECA). It has focused its business on 4 key assets, the Permian and Eagle Ford in the U.S., was well as, the Montney and Duvernay in Canada. Encana has 3,400 premium Permian well locations among around 10,000 total. 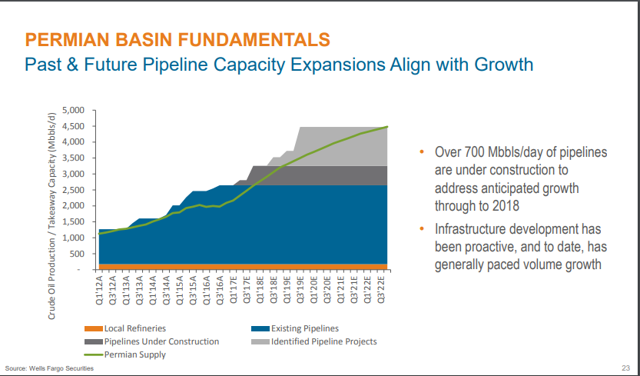 Their takeaway from the Permian is secured on the Medallion (gathering) and Enterprise Midland to Sealy (takeaway) pipelines, with future takeaway aligning with growth. Royal Dutch Shell (RDS.A) noted it is looking for assets to buy in North America and specifically mentioned all four of the Plays that Encana is focused on. I believe that Encana could be a takeover target, as well as, a growth play. The bottom line is to find ways to exit Exxon and Chevron and replace with those with appropriate holdings for your investment strategy. July 31st is the LAST DAY to get Margin of Safety Investing at the first year founders rate of $365 per year vs the regular price of $499. Take a Free Trial today to lock in your opportunity to receive ideas about investing in energy,the coming "smart everything" world, as well as, many other value priced growth and dividend opportunities. Learn from top ranked analyst, winner of MarketWatch's inaugural "Next Great Investing Columnist" competition and fee-only advisor Kirk Spano, to help build a portfolio that withstands risks and benefits from a changing world. Disclosure: I am/we are long OXY, ECA. I wrote this article myself, and it expresses my own opinions. I am not receiving compensation for it (other than from Seeking Alpha). I have no business relationship with any company whose stock is mentioned in this article. Additional disclosure: I own a Registered Investment Advisor - bluemoundassetmanagement.com - however, publish separately from that entity for self-directed investors. Any information, opinions, research or thoughts presented are not specific advice as I do not have full knowledge of your circumstances. All investors ought to take special care to consider risk, as all investments carry the potential for loss. Consulting an investment advisor might be in your best interest before proceeding on any trade or investment.